Some students run the risk of failing classes due to absences that may be out of their control. According to the Prince George’s County policy, students must go to school regularly to receive full credit from their classes to graduate. The PGCPS attendance policy specifies this further by stating that students are allowed to bring in notes with lawful excuses to ensure their education is not affected. However, what qualifies as an excused absence? 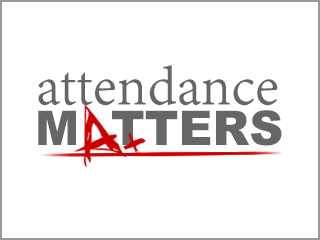 Some may argue that while the attendance procedure is to ensure students are in school majority of the school year, it can also have negative effects because of situations out of the students’ control. While these circumstances appear to be black-and-white, sometimes, situations for tardiness or absences are bit more complicated. Sometimes, it’s not the students who are at fault for missing or being late to school. There are many other factors, such as parents, late incidents, and road detours, that could contribute to their absence or tardy. Sometimes it could even be family trips, which are not considered as excused absences. During the winter time, many families decide to go on early winter break trips and take their children with them. These trips could even be ones taken out of the country to see family members. During this time, the students could be away long enough to a large portion of the curriculum. According to PGCPS policy, if the student is on vacation with his/her family for more than ten days, it is considered an automatic failure of the course for the year. But is this fair? Some students believe it is. To clarify the policy, a student needs to miss ten or more days in a particular class in order for it to affect one’s academics. This means that missing ten consecutive days of school may not affect some classes since students’ schedules run on an A and B day schedule. This would mean that ten consecutive school days is only five days of A-day classes and 5 days of B-day classes missed. However, for those classes that meet daily, students could find themselves in trouble. Some students believe the rules should have some leeway. “I think it’s unfair because if a student has family issues, they should be able to stay for more than ten days and not receive punishment for their absences,” said junior Andrew Passie. What some students may not know is that the PGCPS policy makes it possible for students to go away with their families for more than ten days. They just have to make sure to follow procedure. According to PGCPS Administrative Procedure 5113, “Students who are removed from school by their parent(s)/guardian(s) for more than 10 consecutive days for extended travel and not enrolled in another school or educational program may be withdrawn; then, re-enrolled upon their return.” This keeps students’ academics and attendance from being affected. Upon returning to school, students who miss days of school without a note or certification from their parents and/or can be denied make-up work. However, by withdrawing from school before a known ten-plus day absence, this could eliminate the student from having to plead for make-up work while also not forcing the teacher to provide work from lessons weeks before.. While it is important to attend school everyday, the PGCPS attendance policy attempts to eliminate roadblocks that could keep students from passing.